Posted October 30, 2018 by SCS Gearbox & filed under Sled Pulling. There are a variety of motorsports you can take part in if you enjoy taking vehicles and pushing them to the limit. Nevertheless, very few of them are as exciting as sled pulling. Sled pulling is widely regarded as one of the most powerful motorsports in the world because of the engines that are associated with it. 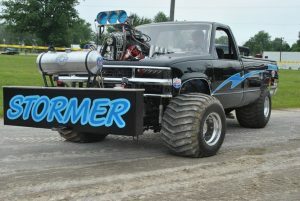 It’s not out of the ordinary to see modified tractors and trucks with 1,000 and even 2,000 horsepower engines. Here is what you need to know about sled pulling. The concept behind sled pulling is quite simple. During a sled pulling event, your goal is to take a weighted sled, hook it up to your tractor or truck, and pull it as far as you possibly can while staying in a straight line. The tractor or truck that is able to pull the weighted sled the furthest during a sled pulling event is declared the winner. While the concept behind sled pulling isn’t all that difficult to understand, pulling a sled with a tractor or truck is far from easy. Those who participate in the motorsport often spend many long hours modifying their tractor or truck to get it ready to pull a sled. Then, just before they’re ready to start pulling one, they have to learn how to rev their engines to generate the most power possible to perform a pull. This allows them to get the sled going and pull it over long distances without getting stepped short on the sled pulling track. Those drivers who are able to master their own starting technique tend to enjoy the most sled pulling success. If you’re interested in getting involved in sled pulling, you’ll first need a tractor, a truck, or another vehicle that can withstand the demands of the motorsport. You’ll also need to beef it up so that it’s prepared to pull a sled. Often times, this means outfitting vehicles with everything from high performance transmissions and quick change transfer cases to quick change gearboxes and more. It also means tweaking your engine to enable it to generate as much power as you possibly can in a short amount of time. 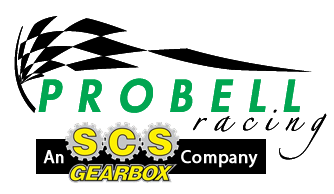 SCS Gearbox can supply you with all the parts you’ll need to make your sled pulling dreams a reality. Call us at 419-483-7278 today to start fine-tuning your tractor or truck.